Learn fundamental nursing principles, concepts, and skills with ease! 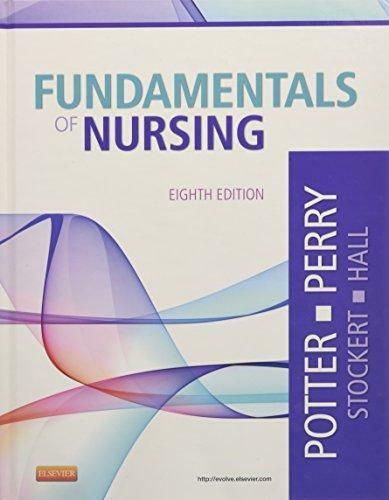 Fundamentals of Nursing, 8th Edition includes accurate, cutting-edge content, active learning strategies, and the latest evidence-based research to help you excel in your classes and prepare for success in today’s competitive nursing field. An expert author team led by Patricia Potter and Anne Griffin Perry provides a trusted, comprehensive resource, thoroughly reviewed by nursing experts and peers to ensure the most accurate content. With practical, fully integrated study support, this edition makes it easier than ever to build the understanding and clinical reasoning essential to providing excellent patient care.